Think Valpak for tech startups. By clubbing brands together, PostBunny offer shared mail for startups. An effective yet affordable marketing channel. 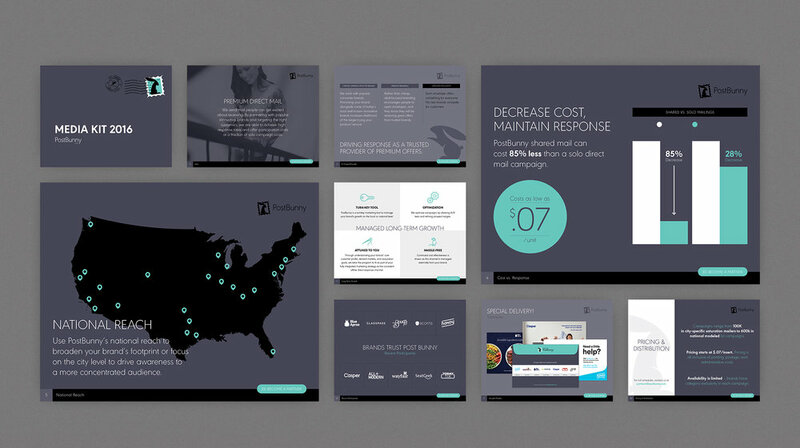 A new company, PostBunny needed branding, both visual and strategic. I worked directly with the founder to lay the groundwork for the brand, from logo to guidelines to website design and the envelopes themselves – PostBunny’s most visible touchpoint. Services: Branding, corporate identity, logo, website design, media kit, envelope design, flyers. The no.1 goal was to promote the benefits of shared mail to marketeers in the US’ most prominent startups. With competing mailers growing, PostBunny needed to establish a brand that consumers preferred – and was therefore more effective for participating startups – than the competition. Branded, but not over-branded. 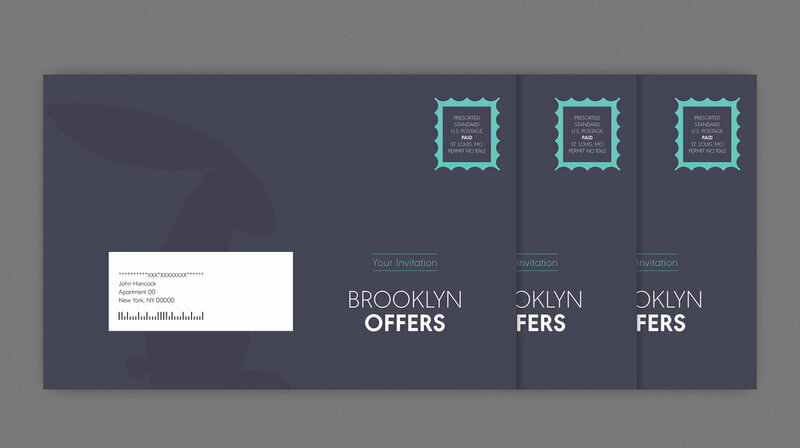 The PostBunny envelope needed to be memorable but not overshadow the participants’ logos. The look had to sit well with the tech community and remain simple enough for partners’ brands to sing. The logo stamp is a simple nod to mail. The color palette and fonts modernize the brand. It’s ironic that offline, ’old-fashioned’ direct mail is so effective for predominantly online brands. In the months following the launch, PostBunny partnered with many more startups and expanded its reach to 30+ cities across the country. As PostBunny’s reach grows, so too does the effectiveness of its product, pleasing its parters and fueling a positive loop.